Please check out our community spotlight this edition on a very important matter, human trafficking. Story by Dopnna Britsch. We wanted to take a moment to showcase Greater Golf Express. Check out the coupons to “Set your golfer up right”. Also check out their website at www.GreaterGolfExpress.com for more information. You can also reach them at 704-544-5018. 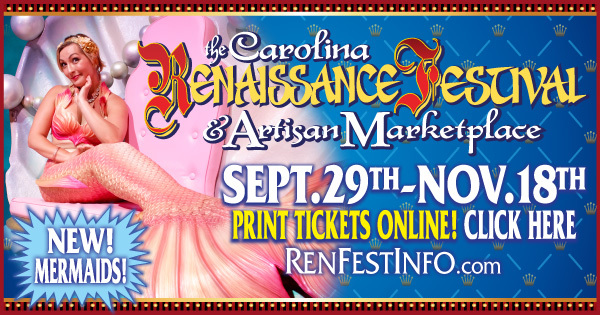 The Carolina Renaissance Festival is a 16th century European style art and entertainment festival combining outdoor theater, circus entertainment, arts and crafts, games and rides, a jousting tourney, live music, feasting – all rolled into a non-stop family adventure! Donna K. Britsch shares this story of how local businesses are helping our teachers! 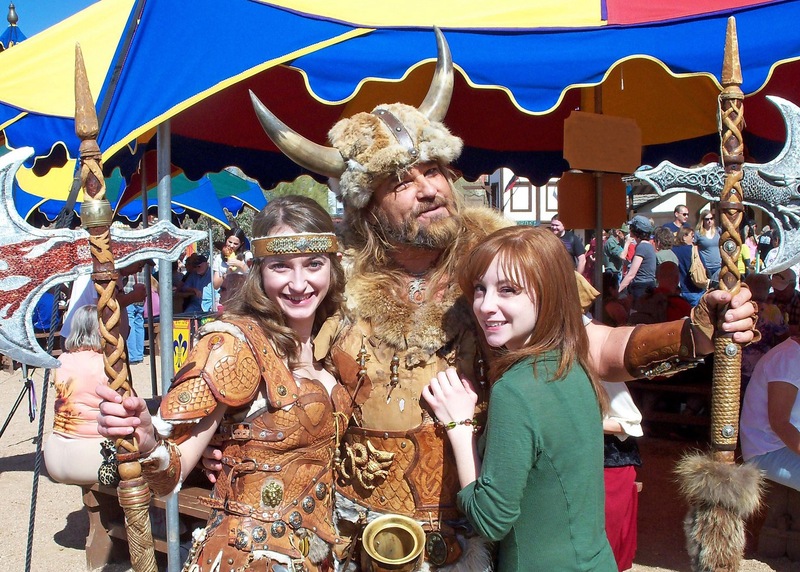 Community Spotlight – Big Brothers / Big Sisters York County. Please take a moment to read Donna K. Britsch’s piece on Big Brothers / Big Sisters of York County. Check Out Mr. Outdoor Living. 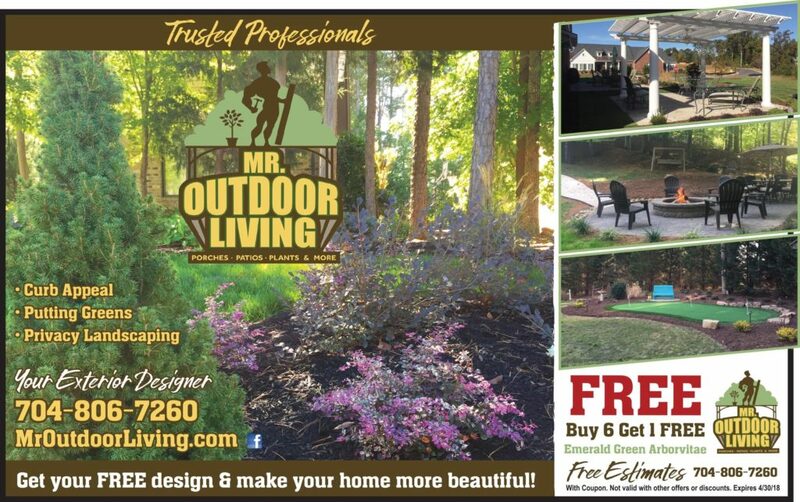 Whether it be to increase curb appeal, add putting greens, privacy landcaping, or other yard and garden upgrades, call Mr. Outdoor Living! 704-806-7260 or visit them at www.mroutdoorliving.com. Check out the coupon for savings! Check out the story of Connor Fong, an amazing young man. We can ALL learn a lesson from this wonderful boy! 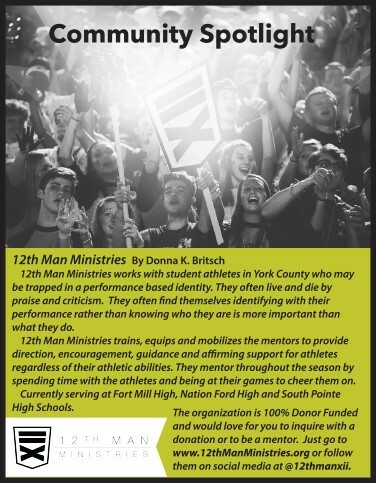 12th Man Ministries works with student athletes in York County who may be trapped in a performance based identity. For more of the story, check out the image! We hope you enjoy reading our Community Spotlight on the Boy Scouts of America by Donna Britsch. The boy scouts were founded in 1910 and has more than 2.4 million youth participants and one million adult volunteers. Check out the article for the whole story. 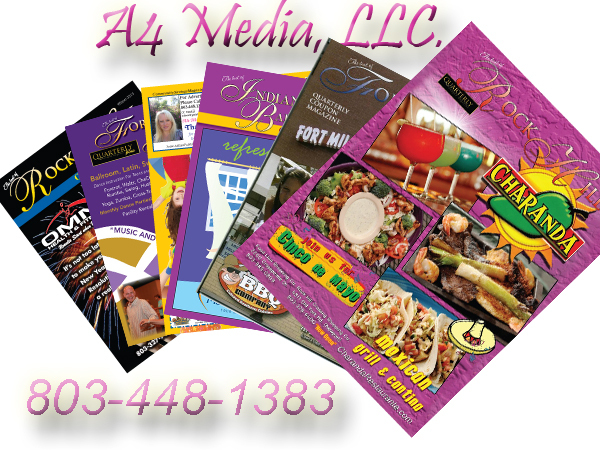 Check out what our Advertisers have to say about us!